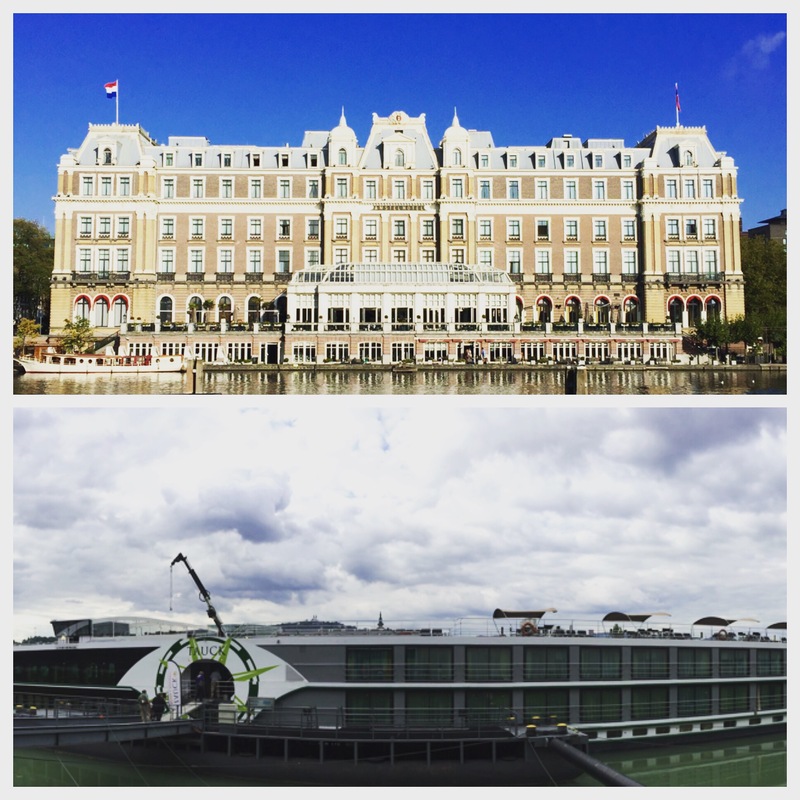 On Saturday, my stay at the Amstel and 4 day break in Amsterdam came to an end. Training trip #2 was about to begin. The upcoming trip is 15 days long and will all take place aboard the MS Esprit. We will start in Amsterdam and end in Budapest. 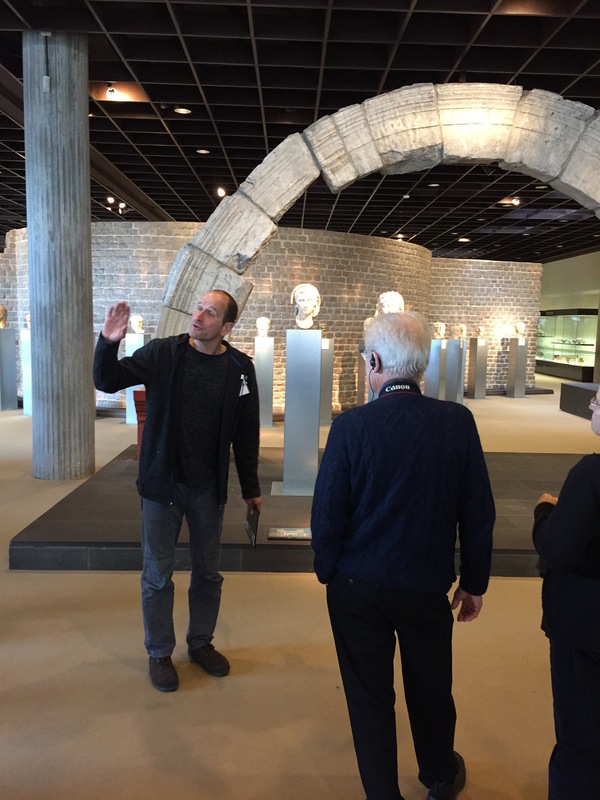 Similar to the last trip, there will be 3 Tauck TDs (Tour Directors), Kati, Anke and Emil, and 1 Tauck CD (Cruise Director), Carlos. At 9am Saturday morning, Kati, Anke and I set up shop (the Tauck help desk) in the Amstel lobby. There were about 30 guests who arrived a day or two early for a pre-stay and would be checking in with us throughout the morning and then meeting us later in the afternoon for a shuttle ride to the ship. The day went smoothly and we boarded the MS Esprit around 4pm. The remainder of the guests trickled in throughout the next few hours and the welcome reception at 6:30pm officially kicked off the adventure. It was an early night, as most guests were exhausted from traveling. 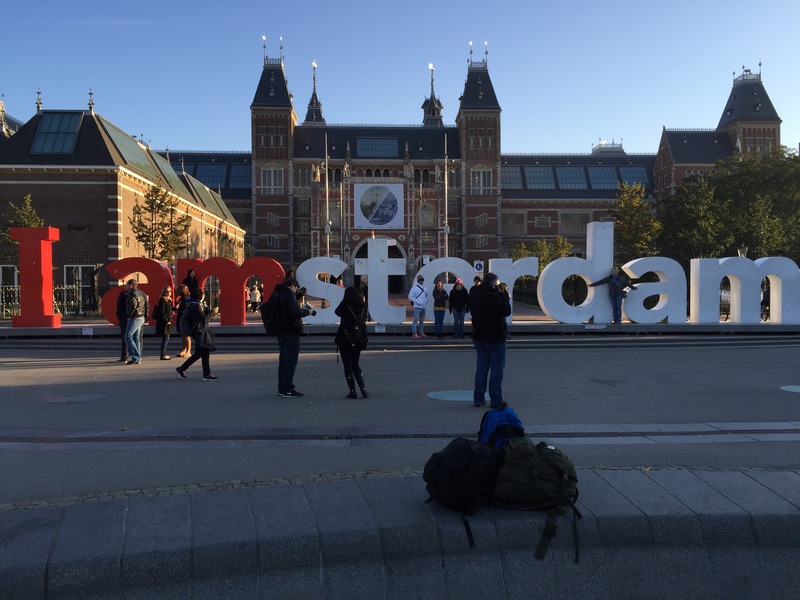 We spent Sunday touring Amsterdam. 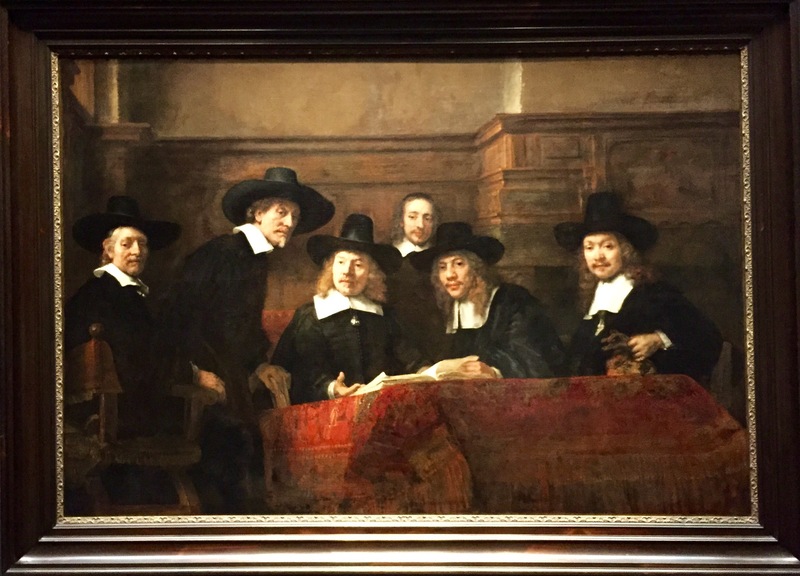 I had the daily itinerary ahead of time so during my few solo days in Amsterdam, I avoided the places we would be going as a group. The name Amsterdam is derived from the city’s origins. 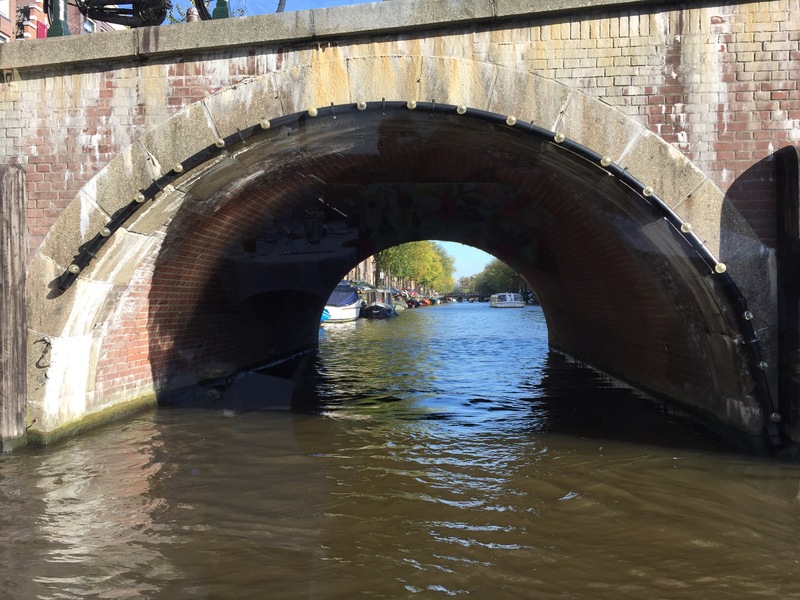 After the floods of 1170 and 1173, locals of the river Amstel vicinity built a dam across and a bridge over the river, giving the village it’s’ name: Aemstelredamme, which evolved into Amsterdam around 1275. As the guests split into groups, I joined a group and the local guide named Franse who was quite comedic and taught us a bit about the local language. Dutch is a Germanic language and according to Franse, speaking Dutch sounds like you have a throat disease. 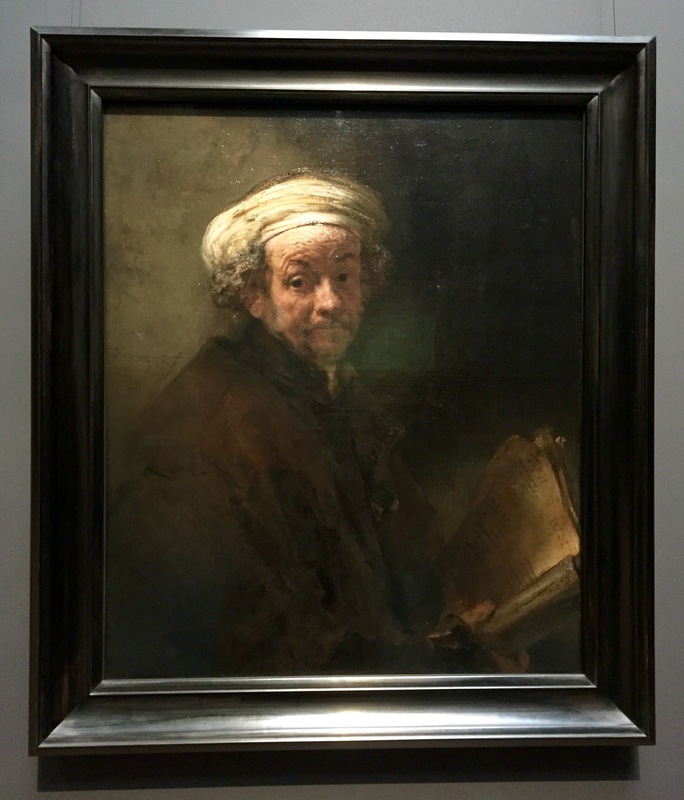 He said “If a Frenchman reads the phonebook, it sounds like a poem and if a Dutchman reads the same phonebook, it would sound like someone is throwing up.” A short bus ride later, we arrived at the Rijksmuseum. 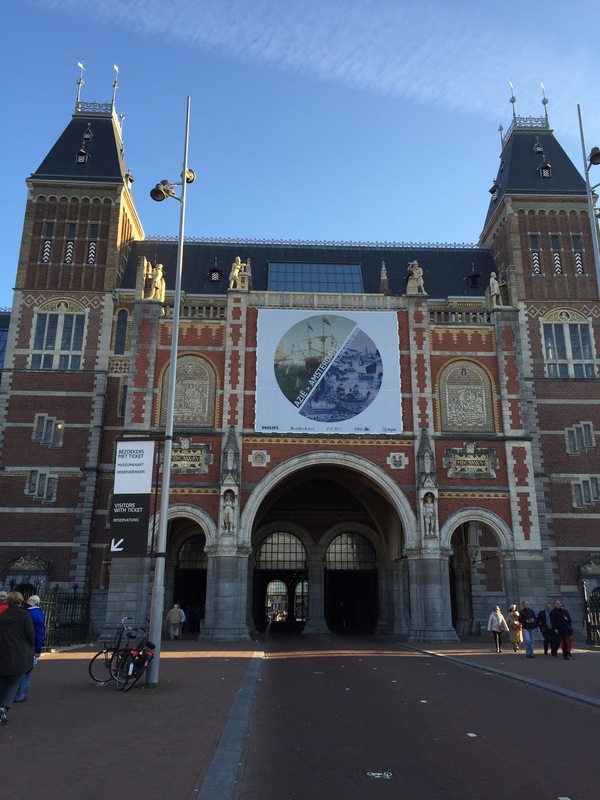 The Rijksmuseum is the national art gallery of The Netherlands. 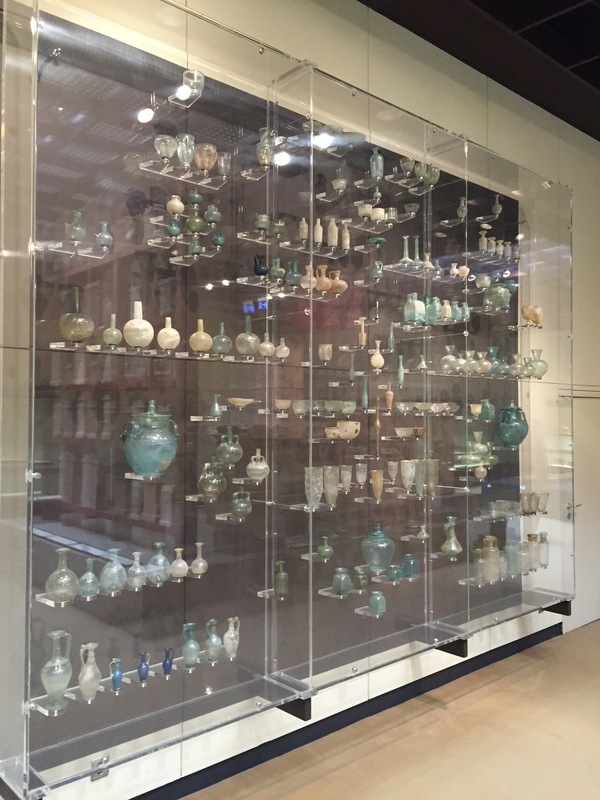 You could literally explore that museum for a month and not see everything! 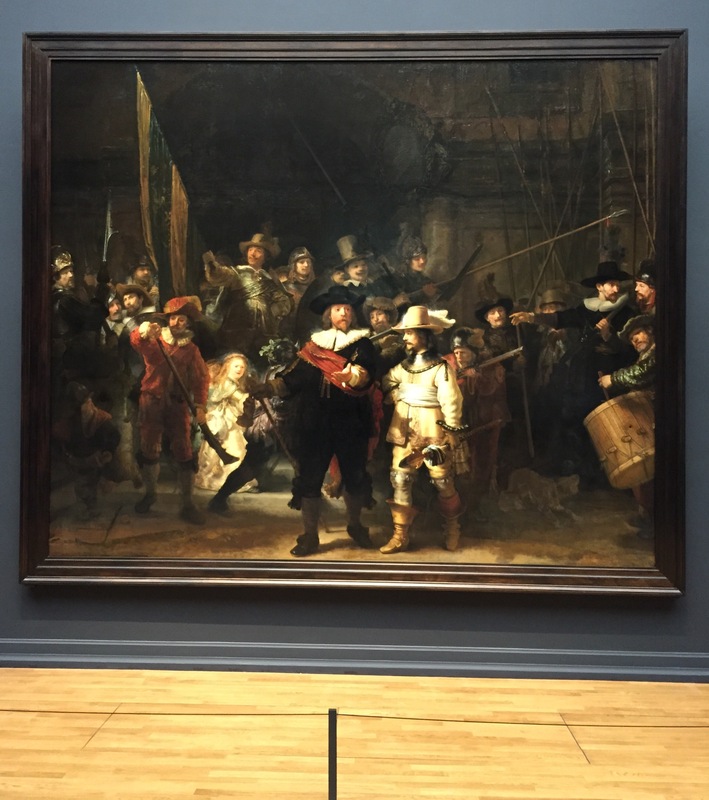 We started out with a privately guided tour of the Rijksmuseum highlights. 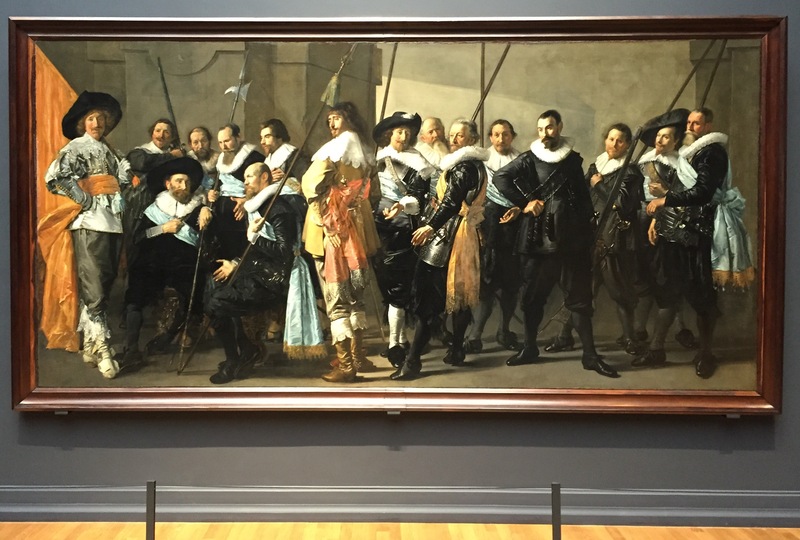 We mainly focused on the Gallery of Honour, which is an extended corridor directed towards a clear focal point: the Night Watch Gallery by Rembrandt. 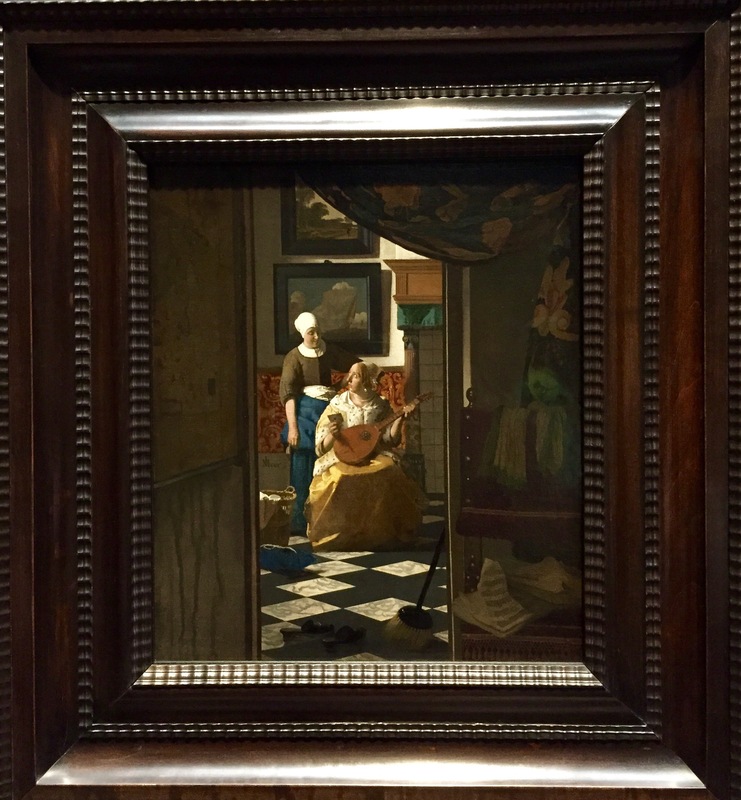 On view in the side alcoves are masterpieces by the great artists of the seventeenth century. 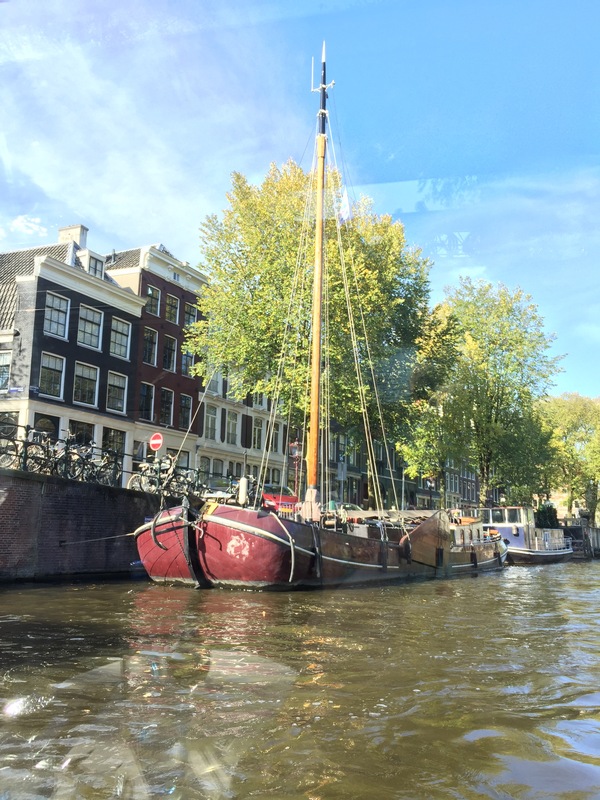 Around 11am, we boarded a canal cruise boat for lunch and a two-hour cruise through Amsterdam’s 165 canals and under the nearly 1,500 bridges. 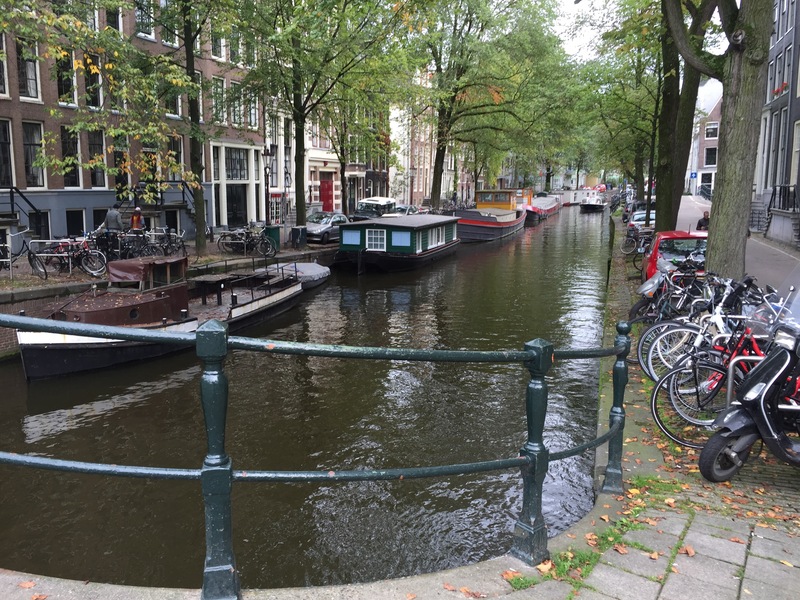 The three main canals, Herengracht, Prinsengracht, and Keizersgracht, dug in the 17th century during the Dutch Golden Age, form concentric belts around the city, known as the Grachtengordel. Amsterdam is known as the Venice of the north. The numerous canals are lined with a variety of houseboats. 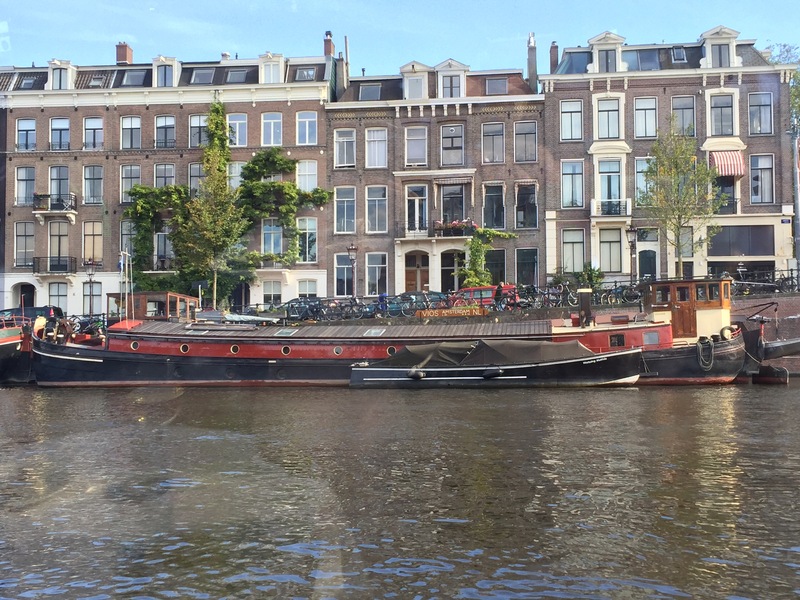 There are over 3,000 houseboats in Amsterdam and canal-side property is often more expensive than land property. 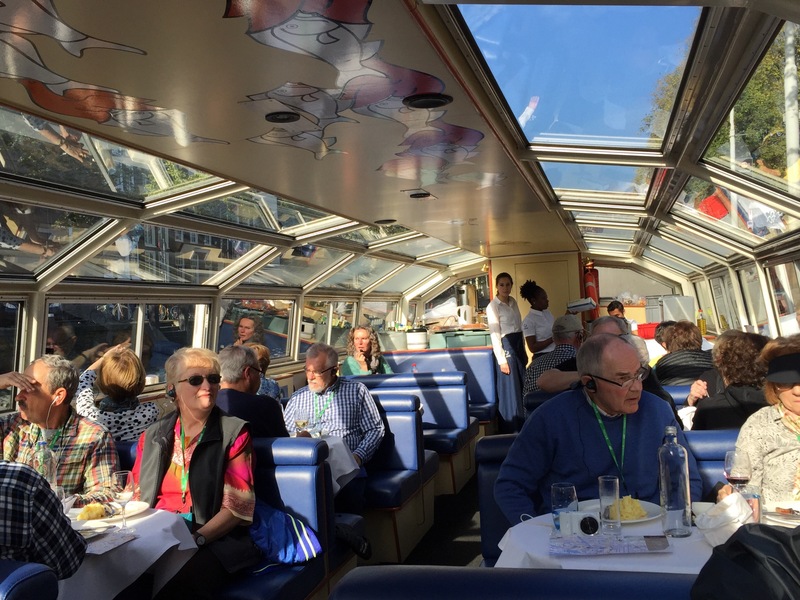 As the boat weaved through the canals, we were served a delicious lunch that ended with Dutch Apple pie.The canal cruise ended around 1pm and we had a few hours of free time. During this itinerary from Amsterdam to Budapest, I am shadowing Kati and learning what happens behind the scenes. In preparation for the afternoon lagniappe (unexpected surprise), I went with Kati to the grocery to get fresh stroopwafles. 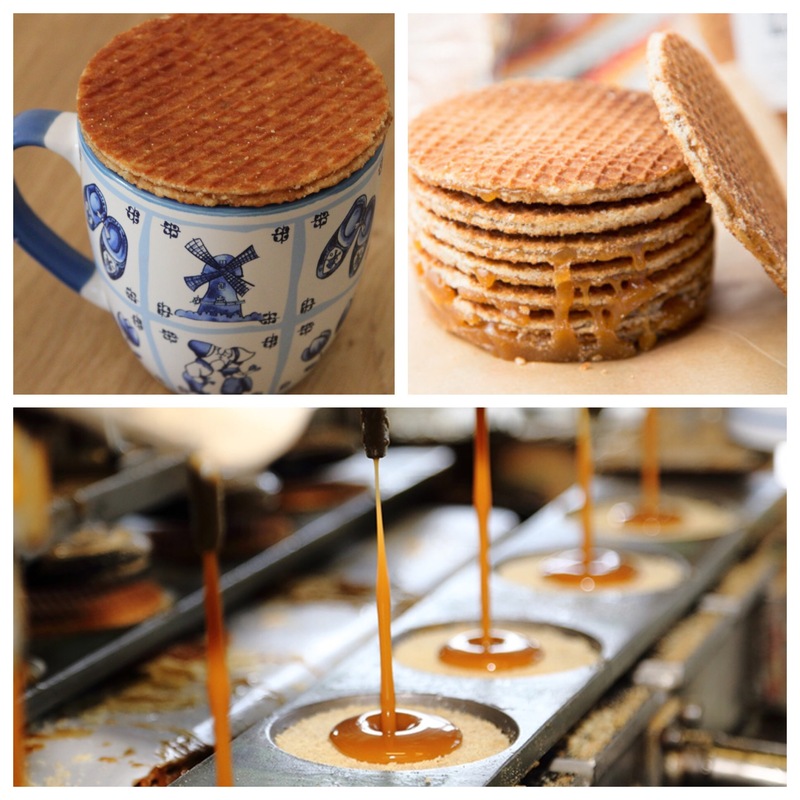 Stroopwafles are made from two thin layers of baked dough with a caramel-like syrup filling in the middle and are often served atop a cup of tea or coffee. 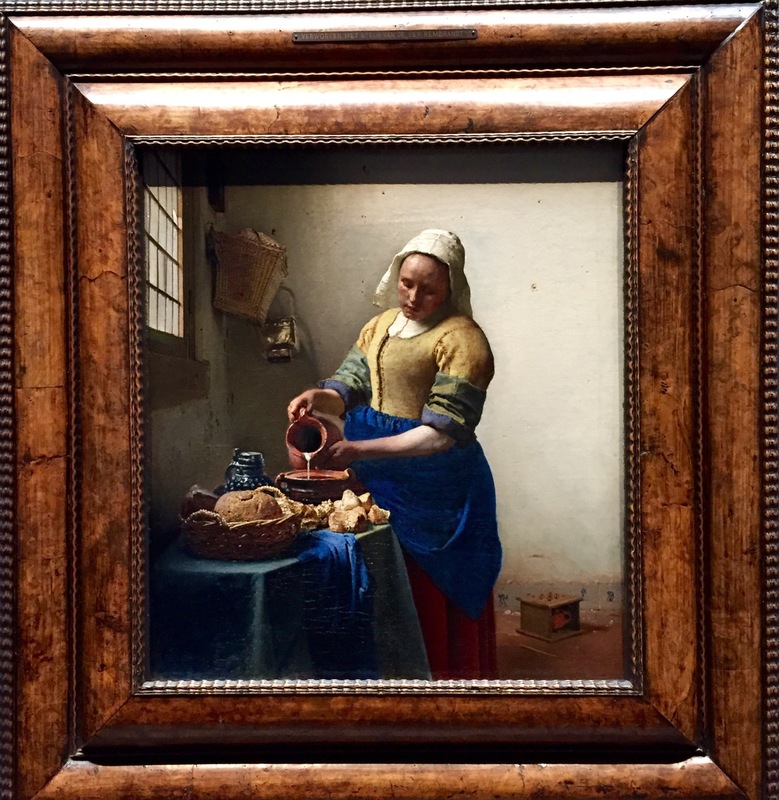 Stroopwafels originate from the Dutch city of Gouda. I have a feeling that both of my parents would enjoy this treat with their evening tea! 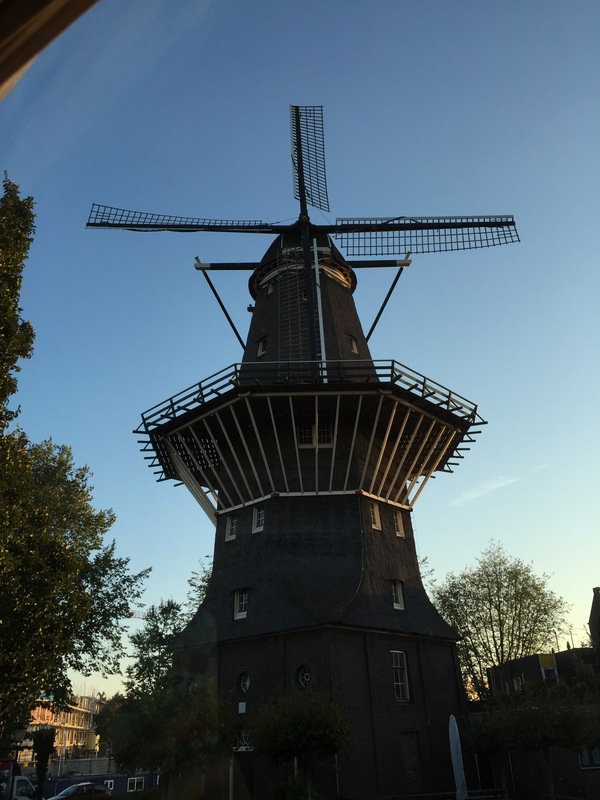 During our coach ride back to the ship, we enjoyed the stroopwafels….delicious! We had only a short time to spruce up for the Captain’s welcome dinner. The Tauck staff always dines together and Carlos likes to avoid work-talk during dinner. We shared lots of laughs and it was a lovely evening. 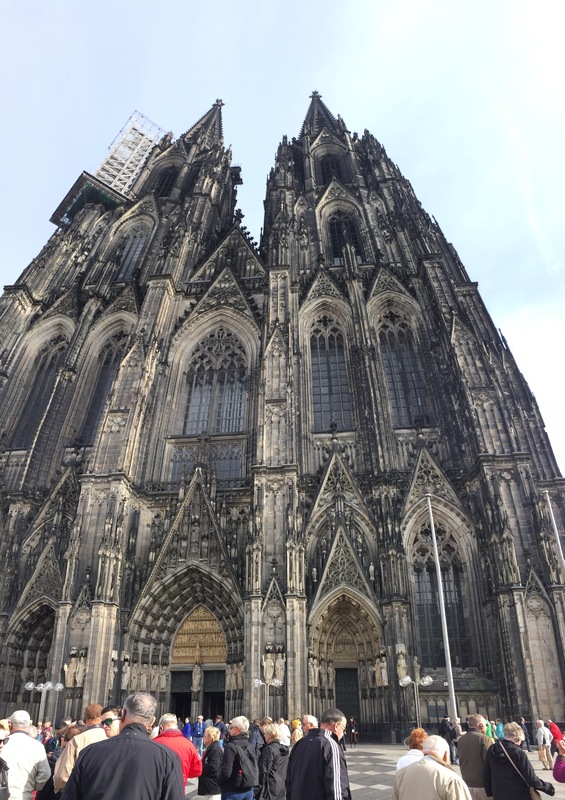 Yesterday, we explored Cologne (Koln), Germany. Cologne is the fourth largest city in Germany, after Berlin, Hamburg and Munich, and is located on both sides of the Rhine River, fewer than 80 kilometers from Belgium. Cologne was one of the most heavily bombed cities in World War II and reduced the population by 95%, mainly due to evacuation, and destroyed almost the entire city. One building that was not destroyed was the Cologne Cathedral. Construction of the Cologne Cathedral commenced in 1248 and was halted in 1473, leaving it unfinished. Work restarted in the 19th century and was completed to the original plan in 1880. It is the largest gothic church in Northern Europe and its’ two huge spires give it the largest façade of any church in the world. It was lunchtime by the time we arrived in the city center and everyone scattered to different restaurants for a taste of local cuisine and local Kolsch beer. I accompanied Kati to the large Cologne Carnival store (imagine a Halloween superstore to the extreme). Carnival takes place in Cologne every year and is declared open at 11 minutes past 11 in the morning on the 11th of the 11th month and runs until Rose Monday, two days before Ash Wednesday. Carnival is known as the “fifth season of the year” and during the “crazy days,” there are parties on the streets, in public squares and pubs. Closing times for pubs are suspended for the duration of the festival. While at the Carnival store, Kati and I picked up Halloween decorations for the ship for our next itinerary. Once the decorations were secured, we made our way to the train station to grab a quick bite of lunch. 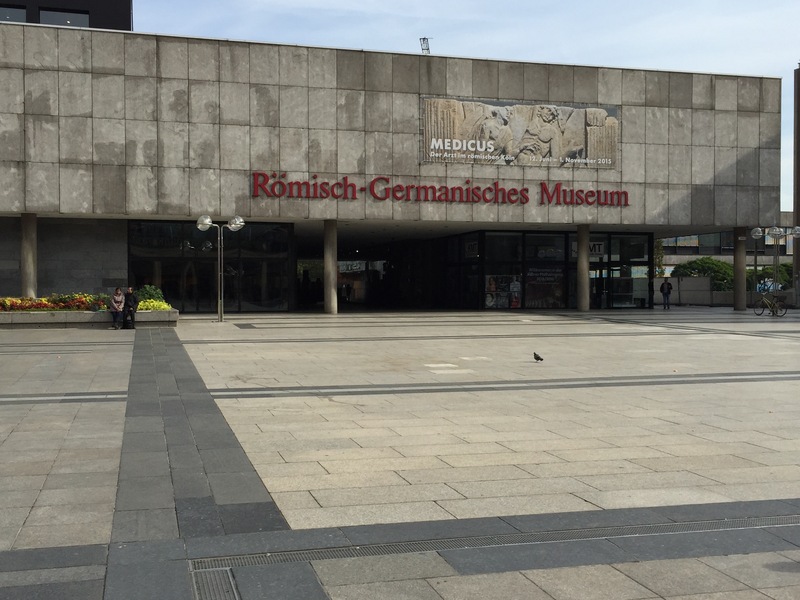 After lunch, the entire group reconvened and toured the Romano-Germanic Museum. 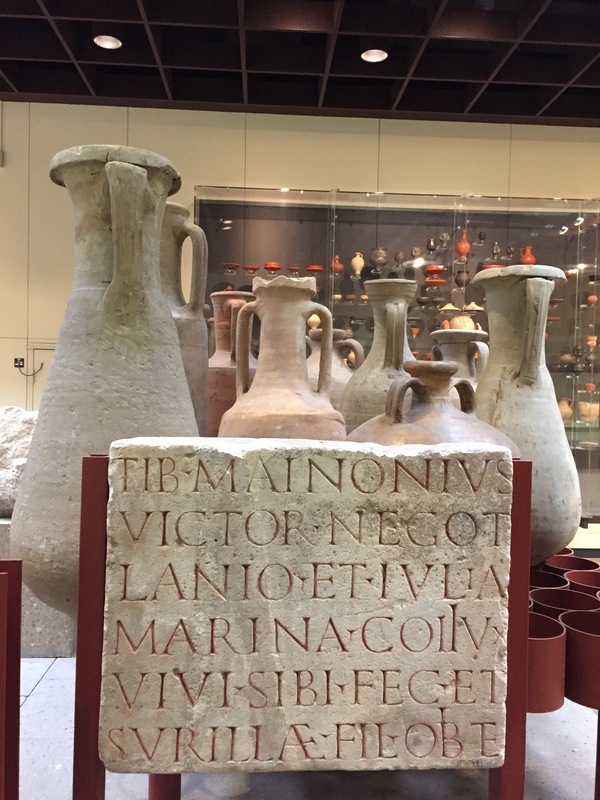 The Romano-Germanic Museum is an archaeological museum that has a large collection of Roman artifacts from the Roman settlement of Colonia Claudia Ara Agrippinensium, on which modern Cologne is built. 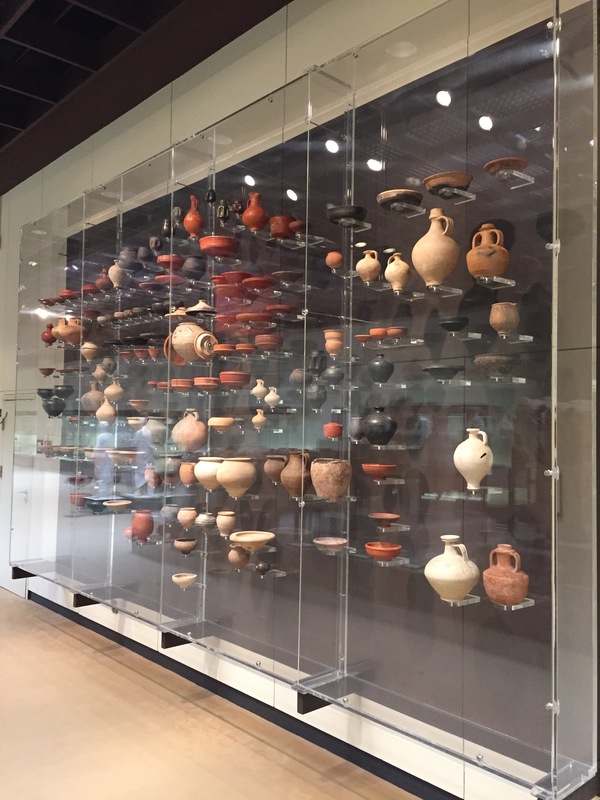 The museum itself is an archaeological site, as it protects the original site of a Roman town villa that housed a large mosaic which remains in its original place in the basement. Cologne is known to some people as the Rome of the north. 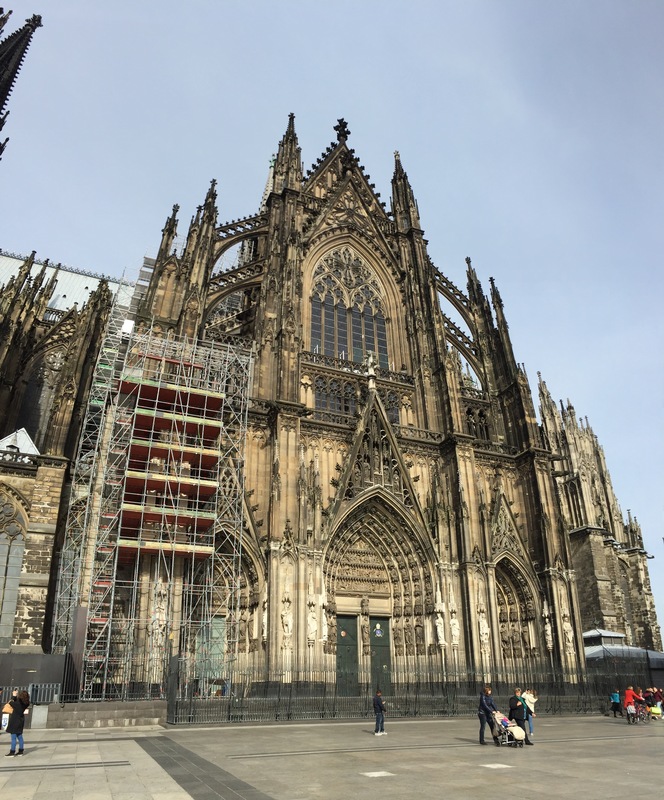 As I will tour the Cologne Cathedral again on the next itinerary, Kati suggested that I explore the city a bit. The shopping district felt very “American” and I found myself not enjoying the moment and I got quite frustrated with the massive crowds and pushy people. I walked around a bit more just to learn where the important tour director landmarks are….ATMs, bathrooms, post office, etc… And then found a quiet spot to have a cup of coffee and a pastry. 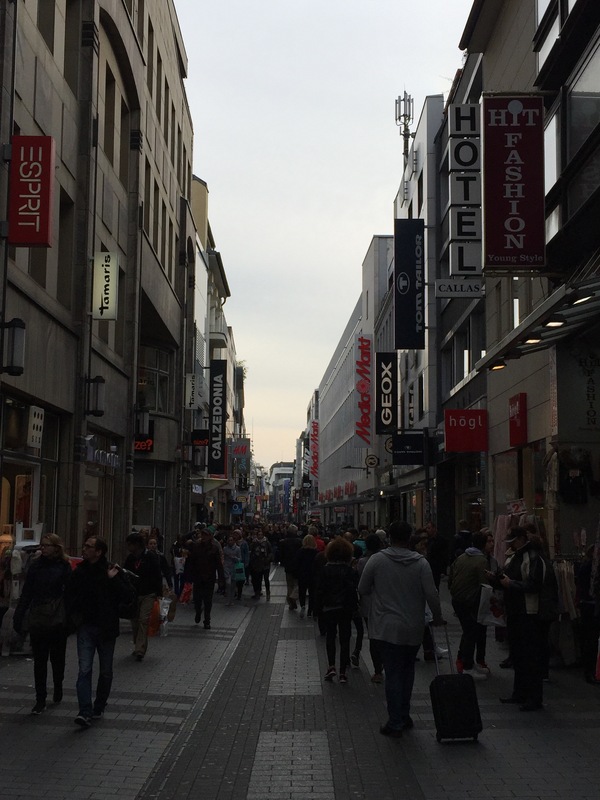 Although certain aspects of Cologne are beautiful, I was ready to leave. With the exception of Amsterdam, I am enjoying the quiet, quaint towns more than the big cities. I guess I am a small town girl after all! *I have been trying to publish this for the last several days but due to poor internet signal along certain sections of the river, this is the first chance I’ve had to upload photos. Hoping to post another entry soon!